I cannot even believe this is real!! 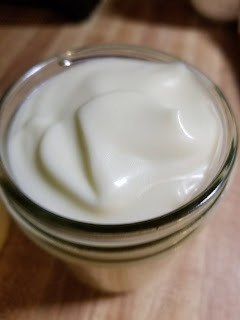 I was researching some things I want to make FMD, and ran across a recipe for vegan butter. I read it, I though "eh, it might be ok" and I tried it. I didn't have the oils called for and was sure this was going to be just ok. I could not type this up fast enough!! How these ingredients mixed together taste like BUTTER, I will never ever know. I guess I worked some witchy magic! HA! This is something I would likely just spread on toast or biscuits or pancakes or muffins... I have not cooked with it yet and I am not sure how it would hold up to high heat. Right now, I am waiting for it to cool and solidify so I can taste it again. But as of this moment- it TASTES LIKE BUTTER, y'all!! 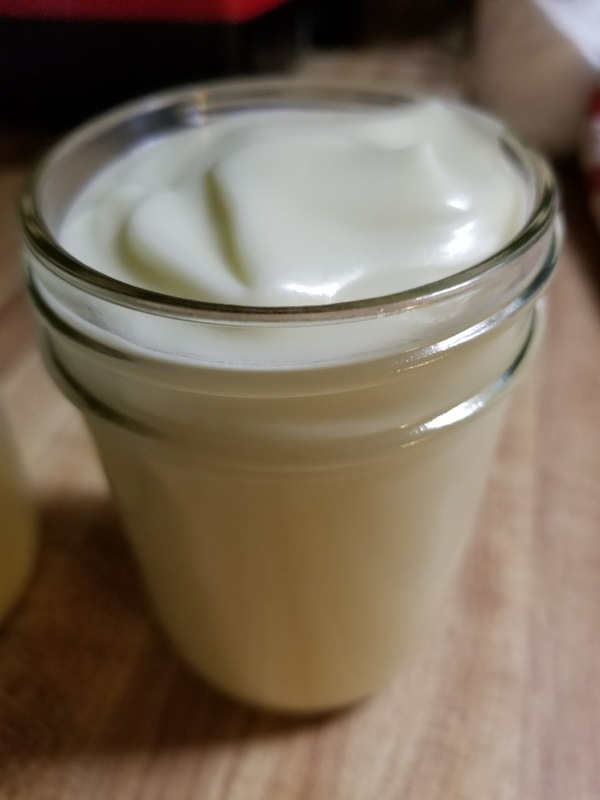 Aquafaba is the juice of a can of chick peas. I used the liquid from my cooked beans, since I ALWAYS have cooked chick peas on hand. (it does not count as anything on FMD- it is a condiment). I cannot say how other oil combos would work- this is the ONLY combo I have tried. And frankly, I have no reason as of right now to try any other combos. As far as servings go, I would just use the same portions as oil, since it is mostly oil. 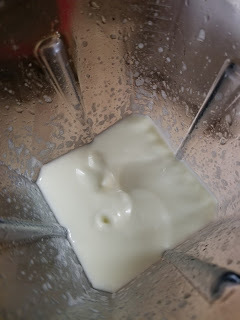 Put the sea salt, vinegar and room temp aqua faba in the blender. Blend for 15 seconds. Combine the oils in a container you can easily pour from- something with a spout (like a glass measuring cup). With the blender running on low, slowly pour the oils in- using the smallest stream you possibly can and pouring very slowly. About half way through the oil, turn the blender up a bit. You want the consistency of a slightly thin mayo. Add more grapeseed oil, in a super thin stream, if you need (up to a couple tablespoons). Pour the butter into a container and chill in fridge- DO NOT COVER until this is solid. Once it is solid you can cover. Can't wait to try this! Thanks so much for sharing with all of us! Aquafaba is the cooking juice from chickpeas. Just save what you drain from the can. You are my hero!!! Thank you so much for all your wonderful and thoughtful recipes!!! How many servings would this be? I’m guessing 16? I didn't calculate servings for the whole batch, because it's unlikely that anyone would portion it out. As I mentioned in the post, I would use this like oil for portions. But I personally, would not use this as an entire fat serving. Do you think I could I could substitute avocado oil for the coconut oil? We're sensitive to coconut. Thanks! Hi Carolyn- Can you use this in recipes like butter?